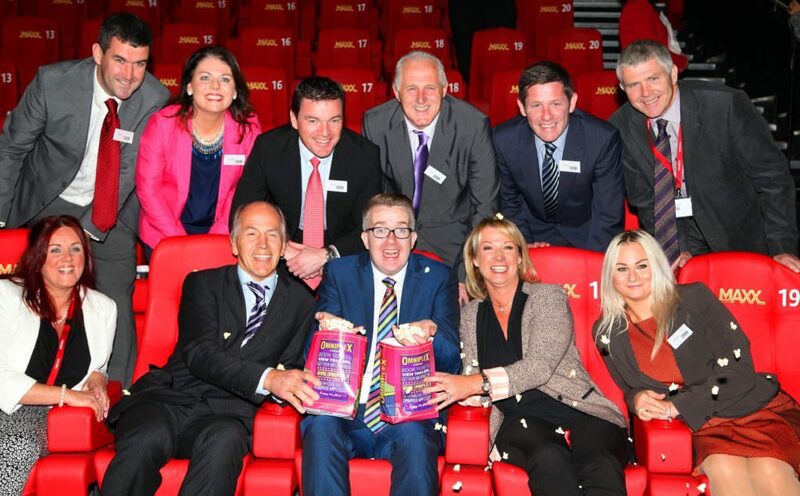 Businesses across Newry got the ‘Meade effect’ last week when Broadcaster, speaker and trainer David Meade visited the City as a guest of Best Property Services to deliver a highly entertaining seminar on Management and Consumer behaviour with a little mind reading thrown in for good measure. The breakfast event in the Omniplex Theatre marked 125 years for Best Property Services who invited their clients and professional network to hear from management and leadership expert and BBC star David Meade who shared his insight on making businesses more productive, effective and efficient. Garry Best, Managing Director Best Property Services said: “Despite challenges in the marketplace, we’ve continued to be the leading agent in this region for 125 years, providing Land, Commercial and Residential expertise. “I believe, this is because we continue to invest in our staff, our customer experience and nurture innovation in our business. It seemed fitting to host an event which shared that innovative approach and David was an ideal speaker. The session was valuable and very entertaining and feedback from attendees has been fanstastic,” Garry added.